REMOVE seeds from the red chili pepper, then slice it into thin pieces. MIX juice from 1.5 lime with 1 tablespoon white caster sugar, a splash olive oil and the finely sliced red chili pepper. SEASON with a pinch of salt. 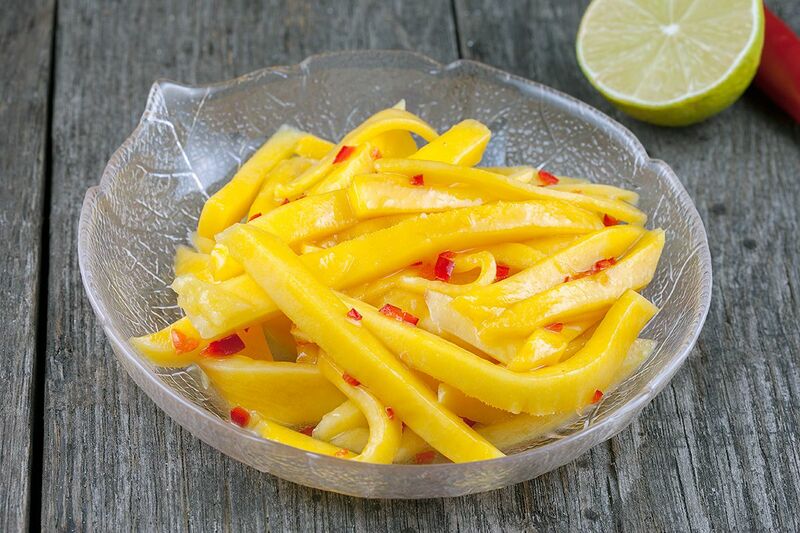 PEEL the mango and slice into long strips, cubes or thin slices. 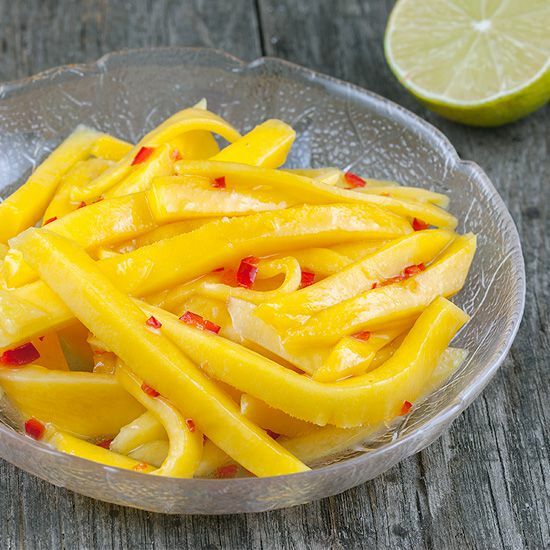 Whichever you prefer, we chose to slice the mango into long strips. 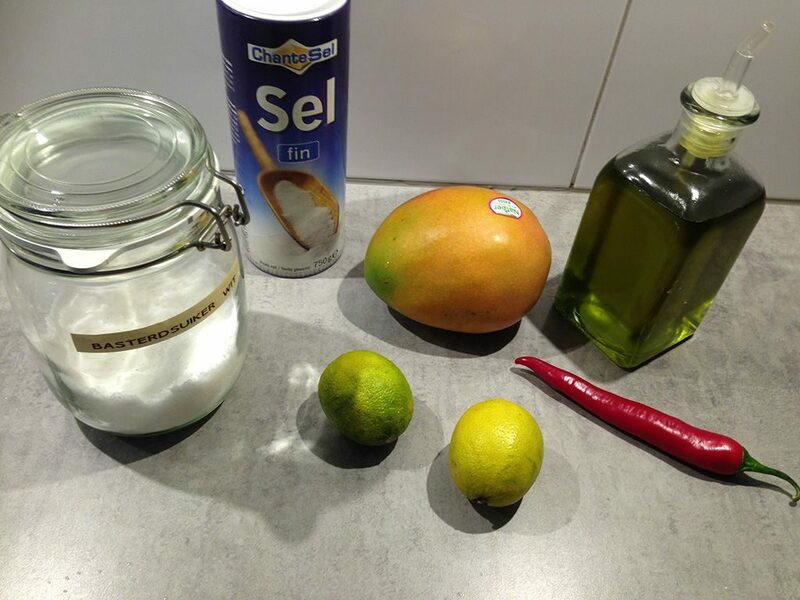 MIX mango with the dressing and leave for a few minutes to let the flavors get into the mango. 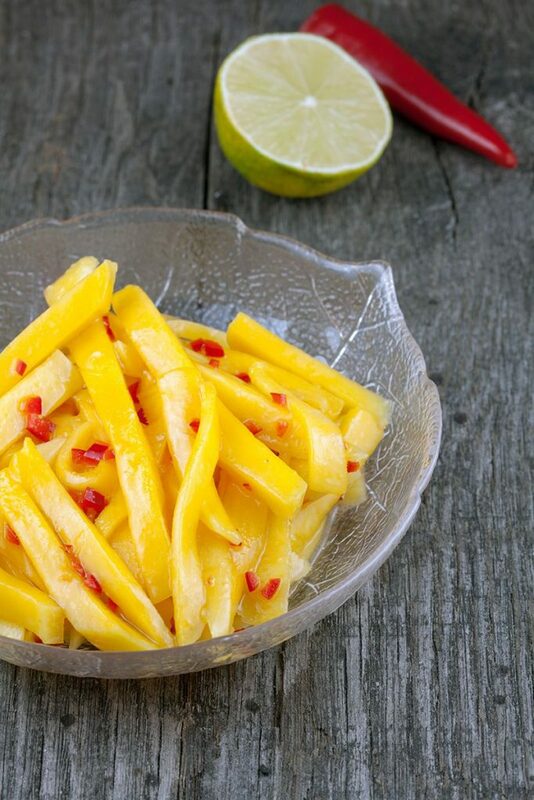 This easy spicy mango salad is perfect to serve with a lemper ajam. Enjoy your meal!